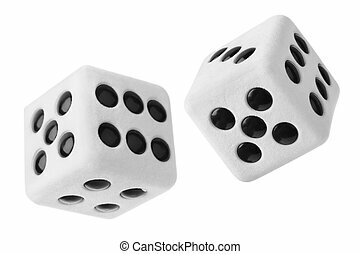 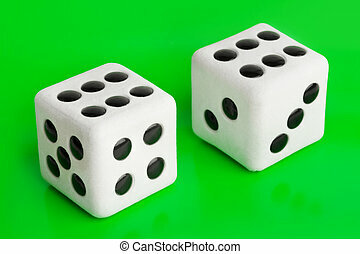 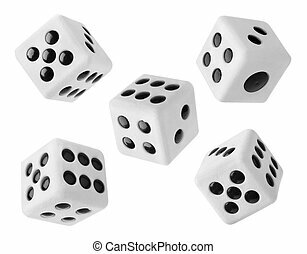 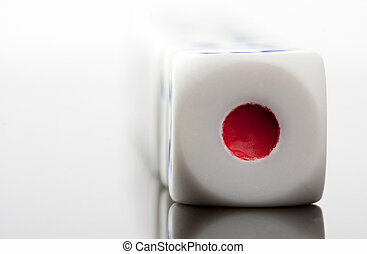 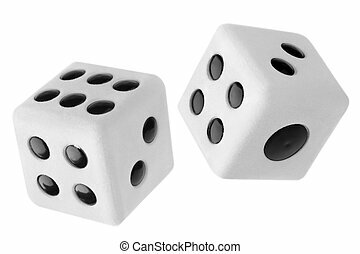 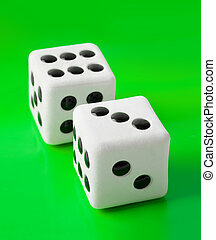 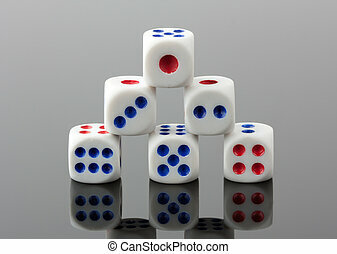 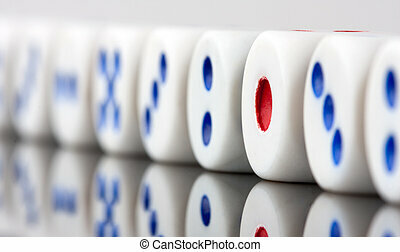 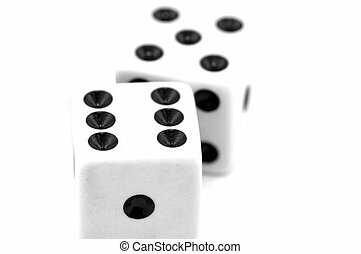 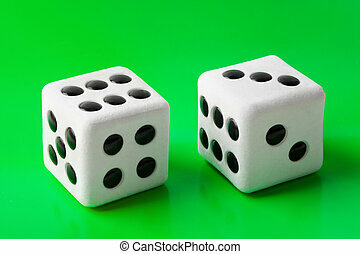 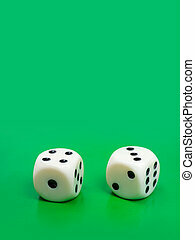 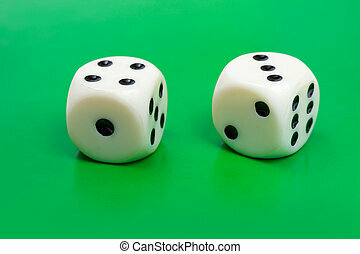 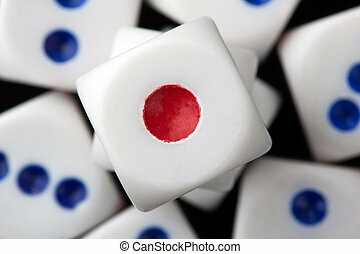 Gambling dices. 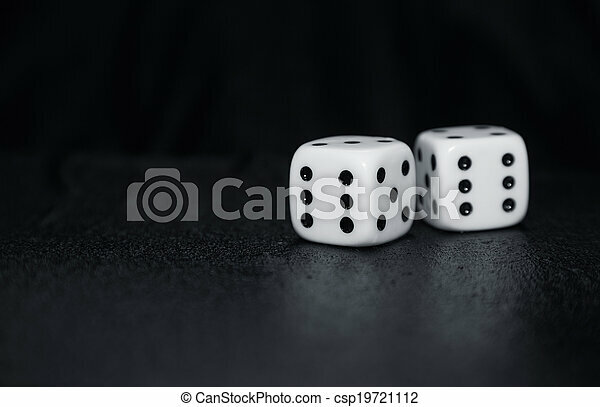 Two gambling dices on a dark table. 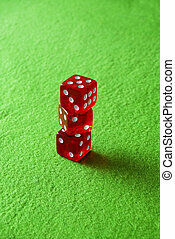 gambling dices on green carpet/table in the casin? 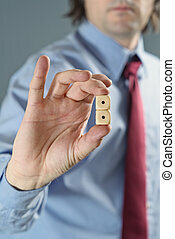 Businessman in blue shirt holding gambling dices, business gambling concept.